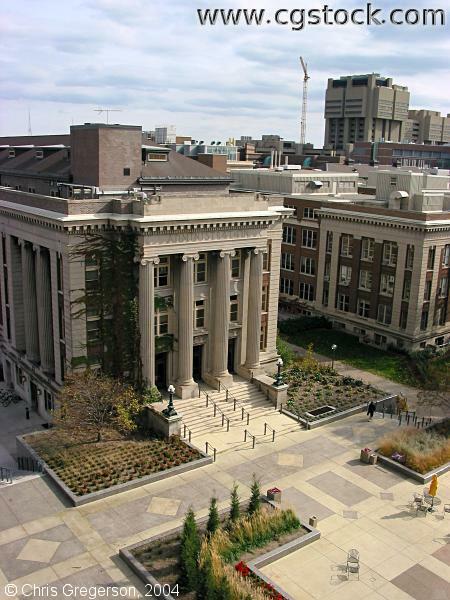 The building on the left is Morrill Hall. The lentil above it's columns is labeled "Administration Building". At the lower-right is the plaza in front of Northrop Auditorium. The Moos Health Sciences Tower is in the right background.